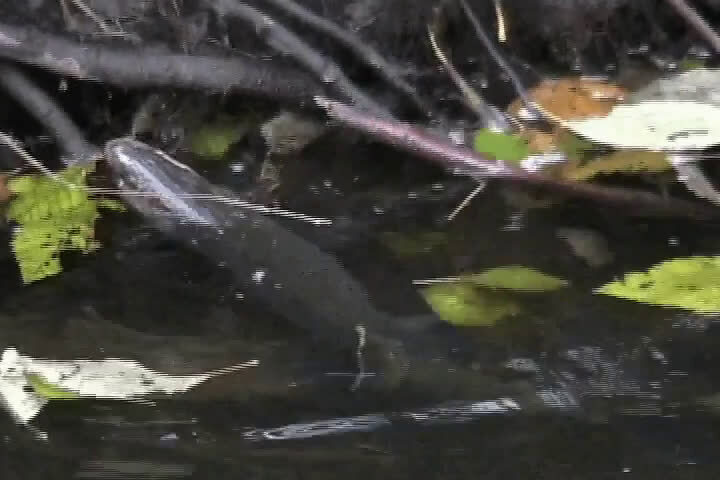 Toxic runoff from highways, parking lots and other developed surfaces is killing many of the adult coho salmon in urban streams along the West Coast, according to a new study that for the first time documents the fatal connection between urban stormwater and salmon survival. The good news is that the same study published today in the Journal of Applied Ecology also found that inexpensive filtration of urban runoff through simple columns of sand and soil can completely prevent the toxic effects on fish. "Untreated urban runoff is very bad for salmon health," said Julann Spromberg, a research scientist at NOAA Fisheries' Northwest Fisheries Science Center in Seattle. 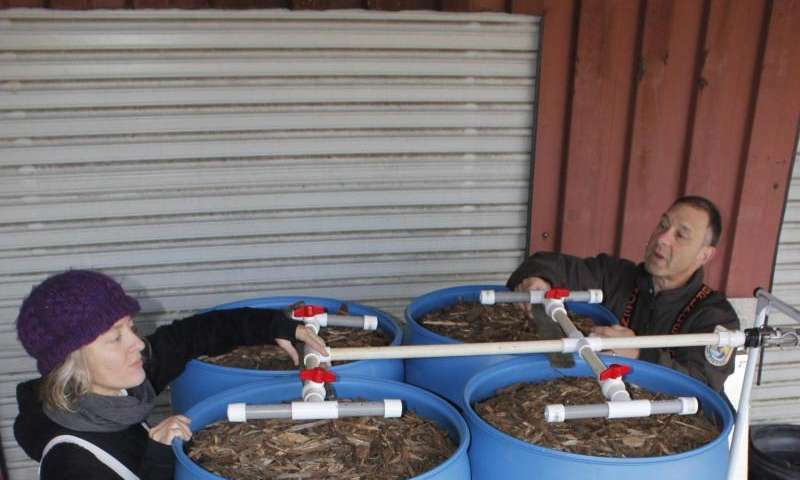 "Our goal with this research is to find practical and inexpensive ways to improve water quality. The salmon are telling us if they work." Scientists have studied the impacts of urban stormwater on salmon most extensively around Puget Sound in Washington, where more than half of the coho returning to stormwater-dominated streams every year die before they can spawn. Coho salmon in California, Oregon and southwestern Washington are listed under the Endangered Species Act, and the loss of so many wild coho to toxic stormwater before they spawn could push them further toward extinction, the study finds. The filtration columns, similar to "rain gardens" gaining ground in the Northwest, are an example of emerging green stormwater infrastructure that should be integrated into future development and redevelopment to reverse the trend and help coho recover, the authors conclude. "If we can incorporate clean water design strategies into future growth, as some transportation projects are already doing, wild salmon might have a chance," said Nat Scholz, manager of the Ecotoxicology Program at the NWSFC in Seattle and a coauthor of the study. "They can't take the kinds of losses we've documented in urban streams." The study demonstrated that coho salmon are an ecological sentinel for the harmful effects of urban runoff. The study exposed adult coho from the Suquamish tribal hatchery in Poulsbo, Washington, to different degrees of polluted and clean water, including runoff from a busy urban highway in Seattle. All fish exposed to the highway runoff died within 24 hours. But after researchers filtered the water through a roughly three-foot-high soil column containing layers of gravel, sand, compost and bark, all the exposed coho survived as well as they did in clean water. Tests showed the filtration columns reduced toxic heavy metals by 58 percent and polyaromatic hydrocarbons, which are byproducts of gasoline combustion, by 94 percent. "What impressed me most was the effectiveness of the treatment," said Jen McIntyre, co-author and researcher at the stormwater program at WSU's Puyallup Research and Extension Center. "It's remarkable that we could take runoff that killed all of the adult coho in less than 24 hours - sometimes less than four hours - and render it non-toxic, even after putting several storms worth of water through the same soil mixture." The study also includes coauthors from the U.S. Fish and Wildlife Service and Suquamish Tribe. "Academic, governmental, and tribal scientists came together on this project," Spromberg said. "The participation of the Suquamish Tribe was particularly vital, as most hatcheries would be understandably wary of a small army of storm chasers, trucking large volumes of toxic runoff." In an unusual twist, scientists first tried unsuccessfully to create artificial stormwater by mixing up a brew of metals and components of crude oil known from urban runoff. 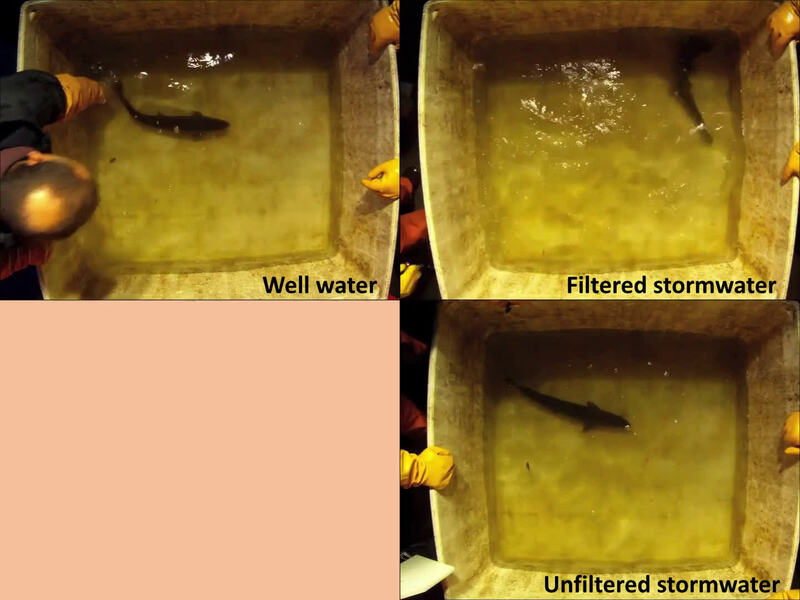 However, the artificial stormwater did not have the fatal effects of the actual highway runoff, with the fish exposed to it surviving as well as they did in clean water. This suggests that the contents of urban runoff may include as-yet unknown toxins from exhaust, leaking oil and dust from brakes and tires as they wear. Researchers said it could take years of further testing and analysis to determine precisely what in the runoff is killing the coho. Previous research connected coho mortality rates to the amount of paved surface in a watershed, so the fatal ingredients appear linked to urban runoff and not household or agricultural pollutants such as pharmaceuticals or pesticides. "The recurring coho spawner deaths have been a high-profile mystery for many years, and we're now much closer to the cause," Scholz said. "Although we haven't identified a smoking gun, our study shows that toxic stormwater is killing coho, and that the problem can be addressed." The research was funded by Region 10 of the U.S. Environmental Protection Agency, Washington Sea Grant, NOAA Coastal Storms Program and Puget Sound Regional Stormwater Monitoring Program.